When I was a boy newts were easy to find and most garden, park and countryside ponds had at least one species. Large bodies of still freshwater sometimes had all three types - the Great Crested Newt (Triturus cristatus), the Common Newt (Triturus vulgaris) and the Palmate Newt (Triturus helveticus) - all breeding in them every year. 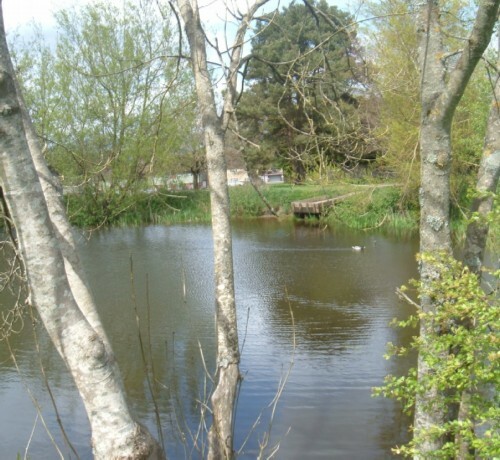 But sadly times have changed, ponds have often been drained, or the land they were on otherwise used, and all three species have dramatically declined in their numbers and distribution. 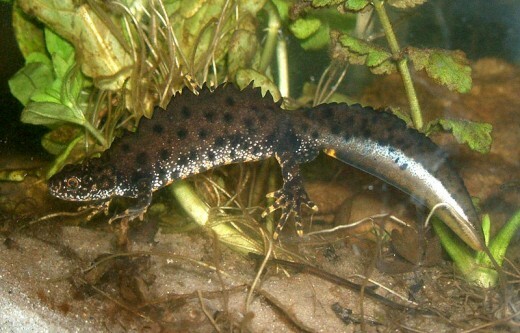 The Great Crested Newt is protected under the UK Biodiversity Plan and quite frequently makes the news headlines when a road or other development has to be delayed because the species has been found in an are affected by whatever work is being done. I could give you quite a long list of ponds that used to be homes for newts in the Cardiff area that have all been filled in for various reasons. Two ponds I used to find newts in as a boy on the banks of the River Taff by Llandaff Weir were destroyed totally by work to improve the riverbank. A pond in a park I went to that used to support Common Newts and Common Frogs was drained and became flower beds. Newts are amphibians that resemble lizards in shape but are not covered in scales. They breed in freshwater in spring and lay their eggs among water plants, usually wrapped in the leaves. They will make their way across the ground, grass, or whatever is in their path, to assemble in their breeding sites. The males and females look very different and in the breeding season the males of many species of newt grow crests and other bodily changes that make them far more colourful. After courting the females they deposit packages of sperm or spermatophores that the females take up into their bodies to internally fertilise their eggs. The eggs hatch into larvae or newt tadpoles that are also known as efts. They have external gills on their heads and breathe oxygen from the water like fish. The newt larvae feed on tiny water creatures such as Daphnia or Water Fleas but later they take larger foods including tiny worms and even their smaller brothers and sisters. They grow legs with the back legs developing last. Eventually when they are big enough, they start to reabsorb the gills and take to breathing atmospheric air at the surface and to actually leaving the water for a life on land. 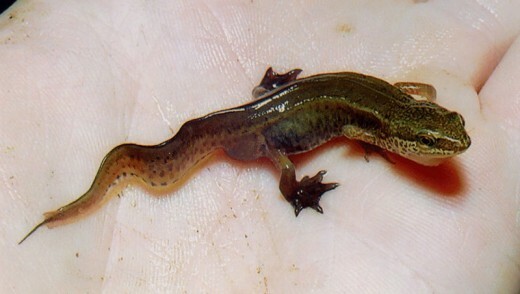 Baby newts can often be found in the moist and grassy ground around ponds in summer. They will hide under bits of wood, rocks or other objects on the damp mud. Adult newts leave the ponds and other breeding sites some weeks after they have finished with their reproduction for the year. The males lose their crests and they take on the land form for each species. They live mostly under rocks and logs, or in holes in the ground, and hunt at night. They hibernate on land. The Great Crested Newt is the rarest of British species, the largest, and also the one that spends more time in the water than the other two types. They grow to some five or six inches in length with bodies as broad as a man's thumb and are primarily as dark greyish-black. Underneath they have bright orange or yellow bellies that are dotted with black. This bright colouration acts as "warning colours" and shows that the newt is not good to eat but contains a toxic substance in its skin just like toads do. Great Crested Newts have rough skins covered in very tiny lumps and because of this is is also known as the Warty Newt. Male Great Crested Newts have a jagged crest along their backs in the breeding season, as well as a separate smooth-edged and flattened crest along top and bottom of the tail section which also has a silvery-bluish stripe. They are very distinctive and attractive creatures. The females lack the crests but have an orange-yellow line running along the bottom edge of their tales. Great Crested Newts tend to favour very large ponds. 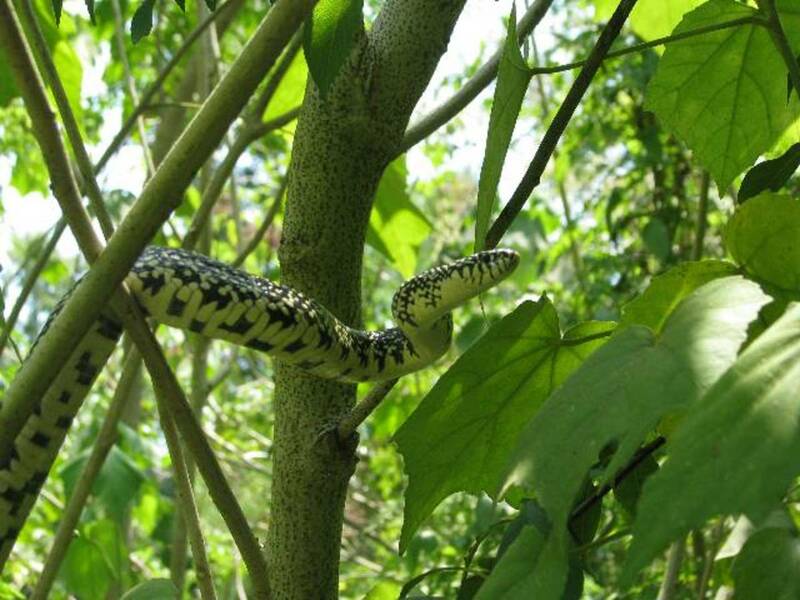 They feed on tadpoles, newt larvae, aquatic insects, small worms and any other living creatures they can swallow. Like most species of newts, they will also look for an eat newt eggs. The Smooth or Common Newt, is, as its description suggests, a newt with a smooth skin. 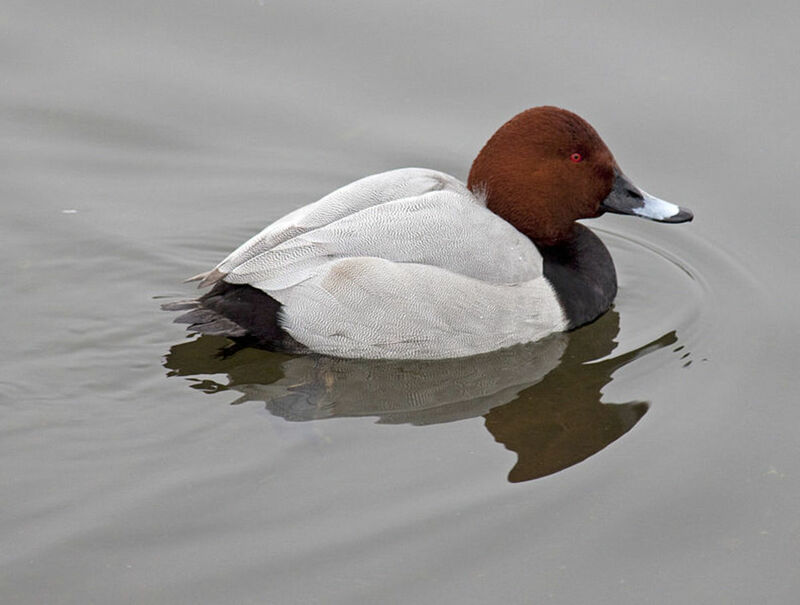 It was once very common but that cannot be said any longer, though it is still widely distributed and is probably the species most likely to be found in garden ponds. The genus Triturus to which it used to belong, has been changed to Lissotriton by many zoologists and herpetologists. Male Smooth Newts look very different to the females in the breeding season. They have a high and wavy crest and fringed toes. 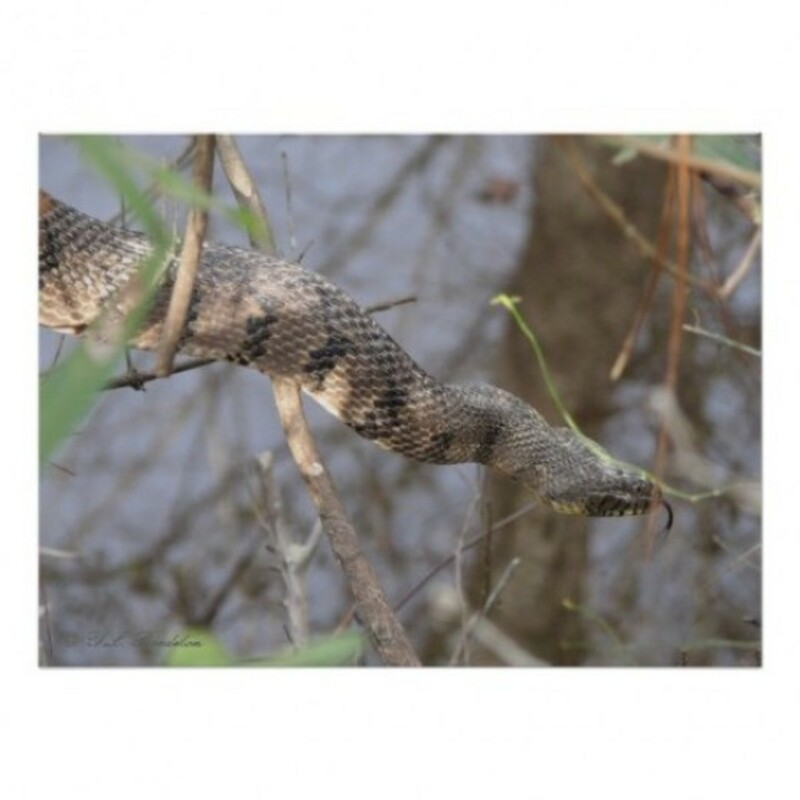 Their dark greyish bodies are covered in even darker spots and their pinkish or orange-yellowish bellies are also dotted with black. Female Smooth Newts are some shade of brownish-olive and have no crests. They have yellow or orange bellies but without the black spots the males have. The females tend to be smaller than the males as well. 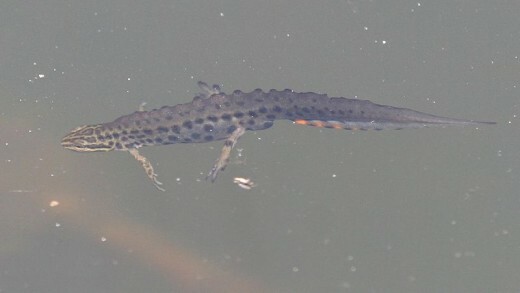 Smooth Newts enter the water earlier in spring that the other species and can be found in ponds as early as February. They also leave earlier in late spring or early summer. This species will breed in all sorts of ponds and also in ditches, canals and in the margins of lakes but never in running water. The Palmate Newt is the smallest of the British newts. It gets its name from the webbed back feet of the males. They have webbing between their toes that is dark in colour and sometimes so extensive that it looks as if they have small squares of dark material for back feet. Female Palmate Newts are bigger than the males and look very similar to female Common Newts with which they are often mistaken. However, when you get used to seeing the two species there is a certain something you would spot to tell the two apart. Palmate Newts have a wide range of habitats and breeding locations and will gather for these purposes in quite small acidic pools in bogs and moorland as well as temporary pools in sand dunes. It is a very adaptable species and can easily colonise garden ponds. 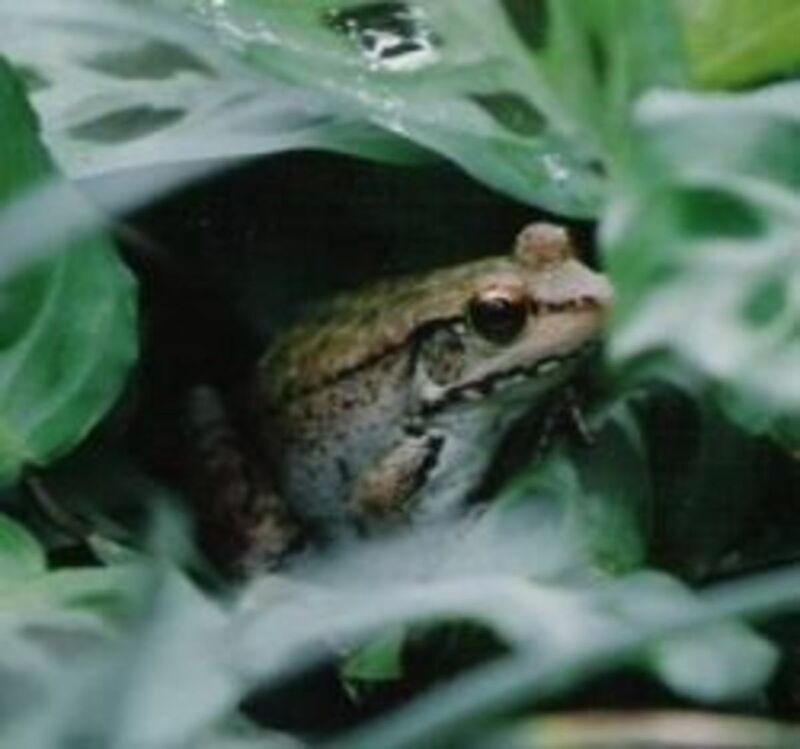 I once had a large colony breeding in an old bath and large plastic pot for shrubs that I had sunk in the ground as do-it-yourself ponds in my back garden in Ely, Cardiff. Many people are rightly concerned about the plight of newts and other wildlife and are doing what they can to help. Probably the main thing that all species of newt need the most is somewhere to breed. This means they need more ponds and freshwater habitats. They don't like ponds with fish in them though or lakes because fish eat baby newts. A garden wildlife pool is ideal if you leave out the goldfish or other fish species. Having a pond in the garden is a wonderful idea because besides the newts it will also attract and help local frog and toad populations, as well as attracting colourful dragonflies. I am glad you liked this! Thanks for posting! I am glad to hear you see newts where you are! Thanks for commenting, sharing and voting!